After a successful partnership this year, FIELDS is excited to announce it will continue to sponsor NASCAR driver Kevin Harvick during the 2018 NASCAR XFINITY Series. 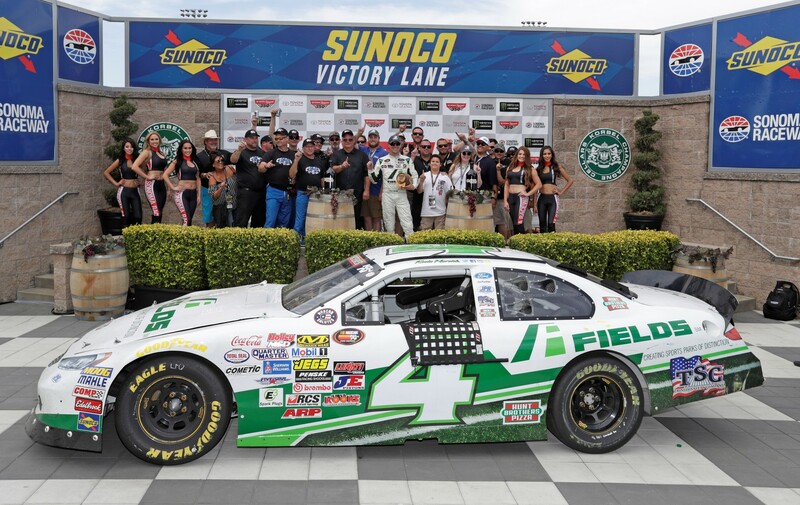 In June, Kevin won the Carneros 200 while driving the #4 FIELDS Ford in Sonoma, CA. “We’ve really enjoyed working alongside Kevin, his team, and Stewart-Haas, and are excited to keep the momentum going for another year,” said Brian Storm, President & CEO of FIELDS. Today, Stewart-Haas Racing announced it’s partnering with Biagi-DenBeste Racing for the 2018 NASCAR XFINITY Series, and the operation will be known as Stewart-Haas Racing with Biagi-DenBeste. This change means that Kevin will no longer drive the #41 Ford Mustang and will instead drive the #98 Ford Mustang. In addition to partnering with Kevin during the 2017 NASCAR XFINITY Series, FIELDS has been a proud partner of the Kevin Harvick Foundation. Working alongside the Cal Ripken, Sr. Foundation, FIELDS built Jake Owen Field in Vero Beach, FL, Kevin Harvick Youth Development Park in Greensboro, NC, and the Kevin Harvick Harvick Foundation Park in Kevin’s hometown of Bakersfield, CA. Kevin’s 2018 XFINITY Series schedule will be announced at a later date.